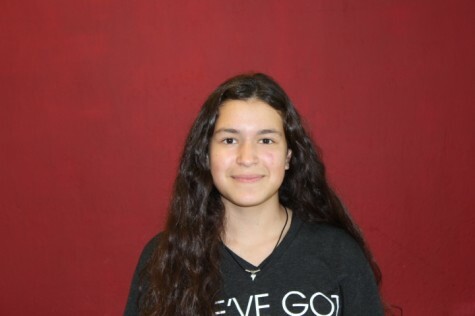 Hilda Delgado is an IB freshman at Coral Gables Senior High ready to indulge in all the opportunities the school has to offer. She plans on taking the advice she has been given on several occasions about getting involved. As a proud member of IBHS and the cross country team, she hopes that her first year in high school will be unforgettable. What she is mostly looking forward to is enjoying it as much as possible with both new and old friends. Hilda enjoys traveling and experiencing new things, as well as learning about different cultures. On her spare time, she likes to hang out with friends, go to the beach, listen to music and occasionally watch movies. School is a big part of Hilda's life as she dedicates a lot of her time to it. She works very hard and maintains good grades in hope of one day achieving her dream job. Although she does not know what career path she wants to take, she is sure that it will be one she feels passionate about.